For several years, buyers of precious metals have had an interest in x-ray fluorescence technology because of the benefits of accuracy and speed that a quality XRF analyzer will offer. However, until a few years ago, the cost of the technology limited it to large refiners and buy-back operations. Recent developments in XRF technology have lead to a decreased cost of acquisition while maintaining a high level of accuracy in precious metal assay so that gold buyers of all sizes can potentially add the technology to incease long-term profits. Systems like the QSX-79Tplus allow gold buyers of various sizes to see the benefits of the technology on the buying side as well as when working with their refiners. A Quickshot XRF user located in Canada recently provided the following thoughts on his experience with the QSX Instruments Inc analyzer line. This particular client is a jeweler that has purchased an increasingly large amount of scrap jewelry and dental scrap. He chose the QSX-295T for the precision and speed that it can provide. 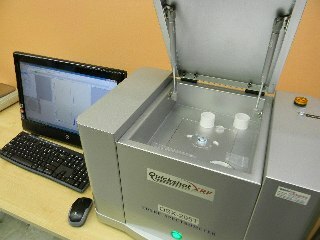 We are very busy here and a good part of that business is due to the Quickshot XRF unit. Having this device allows us to pay a higher percentage on the scrap gold we buy because we know exactly what we are buying. No guessing means a better payout for clients. Consequently, we have clients who will drive over a hundred miles to sell to us even though our competitors are in their own community. We are currently buying two to three kg AGW of material every month. That is remarkable when one considers the fact that we are in a community of 70,000. It has been a little over a year since we purchased our Quickshot XRF and it has paid for itself several times over since then. I could not imagine operating a business of this nature without one. 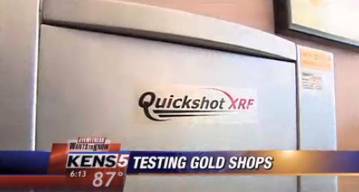 Have you already added a Quickshot XRF analyzer to help increase your gold buying business? Tell us how it has affected your growth. If you are still considering the technology, you can review more benefits of XRF here and contact a Quickshot XRF sales associate to discuss what is important to your consideration of x-ray fluorescence. With the RoHS2 regulations, we have seen a renewed interest in X-ray Fluorescence technology for hazardous substance testing. Many organizations involved with electronic components, circuits boards, etc are affected by these regulations are looking to XRF analyzers as part of their compliance system. It is a beneficial read for organizations considering their approach to RoHS2 monitoring and control. Read the complete article from Printed Circuit Design Magazine. While the author does highlight Handheld XRF for its portability, we always suggest that organizations dealing with smaller components and looking for streamlined functionality consider the QSX-82D desktop model from Quickshot XRF. Please contact a QSX Instruments associate to discuss your process control requirements and how the technology may best fit…and read that article.